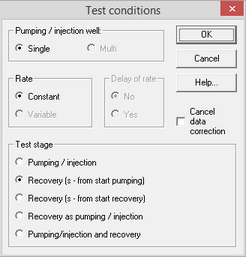 For all conceptual schemes ANSDIMAT provides the opportunity to open a number of supplemental windows displaying basic diagnostic plots. Graphs in these windows are for viewing only and do not allow test analysis. 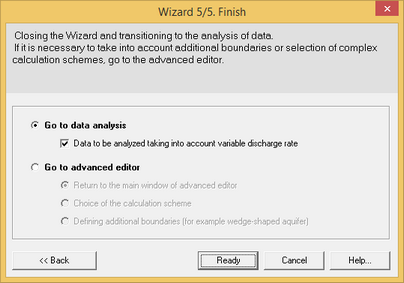 Windows are launched from the main menu "View > All plots" to load all graphs, or by selecting the required graph. 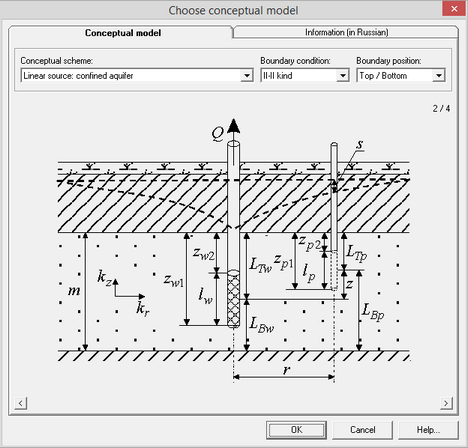 To change coordinate axis or to select observation wells (by default observation wells from the main plot are loaded) launch dialog box "Options" by double left mouse click on the field of the plot.